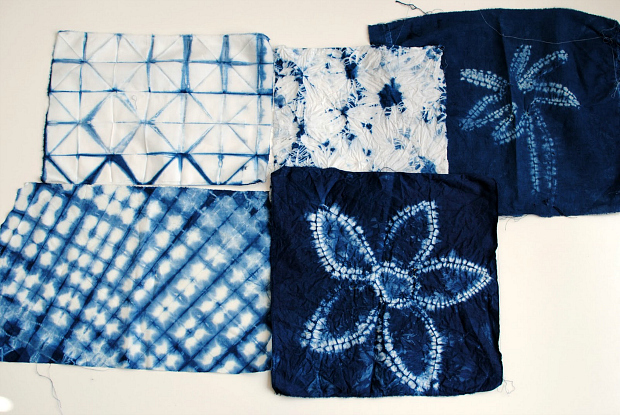 A little different than tie dye, Shibori is a Japanese method of dyeing patterns by twisting, binding, wrapping, folding, and stitching. 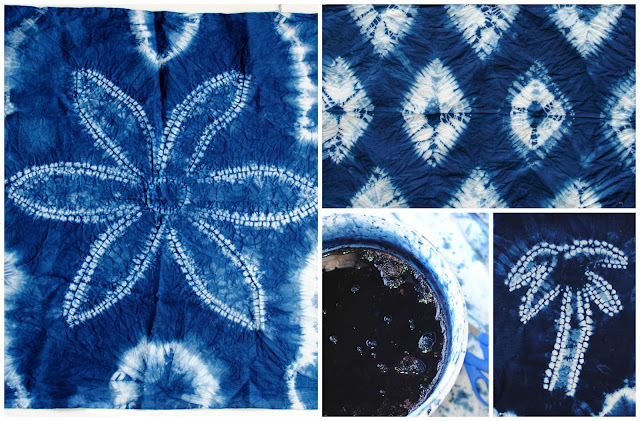 The main dye used for this technique is Indigo because of its easy to create resist patterns on fabric. Jacquard Products makes it simple to create this ancient natural dye using their Indigo Tie Dye Kit here. 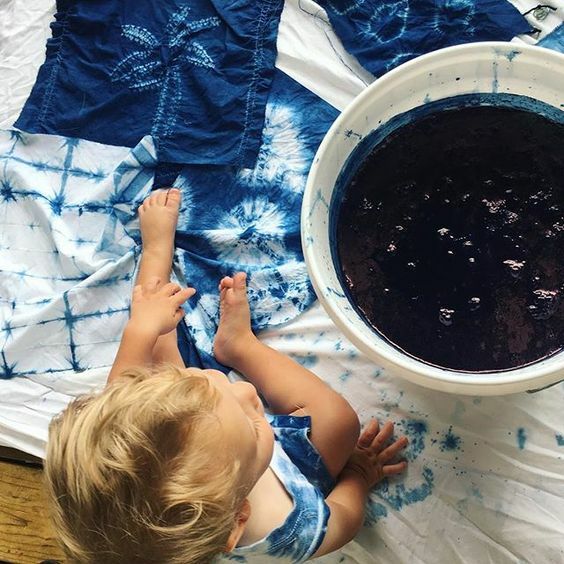 This Indigo Tie Dye Kit has all the supplies you’ll need for a successful dye session and it has enough to create plenty of designs. 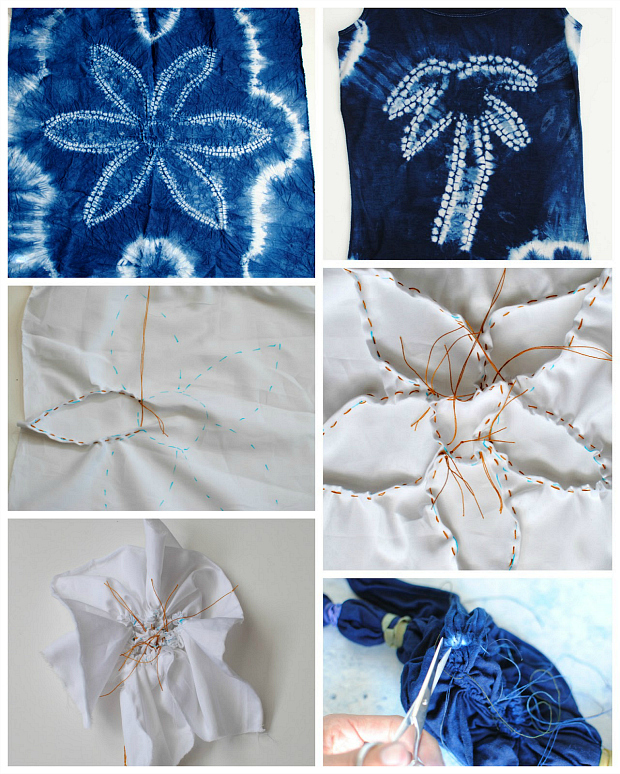 It also includes tutorials on the basic techniques of shibori. You can’t go wrong as they all turn out great and the indigo blue is my favorite, can't you tell? You’ll also need natural fabrics. For this I used Organic Cotton Plus's white Sateen here, to date this is my favorite in the way it takes the dye. It really makes a difference in the shade of the indigo when using 100% organic/natural fabrics. My designs were much more vibrant and the resist portions were bold. They offer all types of natural fabrics from silk to knit jersey. The fabrics are sustainably made and eco-friendly. You can read more about them here. Below I share with you my tips for a successful Indigo/Shibori session and some unique techniques that create stunning results. Have a plan: Before preparing your vat and your fabric have a plan. I use to just go with the flow but now I like to have set designs and projects in mind. It keeps things organized and then later on your not wishing you had more of a certain pattern or less of other patterns. Create Samples: I use test squares of 12x12 in. of the fabric I intend to dye. That way they're small enough you're not using too much fabric but large enough you can use them for projects (i.e. bandanas, pillows, zipper pouches, purses, quilts, baby booties, etc.) Especially if you have nice fabric or a project in mind you’ll want to create samples to get close to your desired results. Also keep in mind scaling for bigger patterns and how you’ll want to adjust the pattern size. This is a good time to experiment with different patterns and also test techniques you want for specific projects. Again, it’s great to have a plan as to what you want to do with each square. Then I’ll set aside 3-4 samples for the very end that I can experiment with. Take notes! How long you should leave the fabric in? What fabric did you use? What binding techniques you used and the steps (I’l take photos not only for my blog but for myself). This helps especially if you’re using several different patterns…Jot down suggestions for next time or dyeing larger pieces of fabric. Have a project in mind: For this dye session I had specific projects I wanted to use the fabric for. I usually sketch out the design but also can change things up along the way. Before dyeing my fabric I cut the pattern pieces out and then dye each piece. Don’t rush! 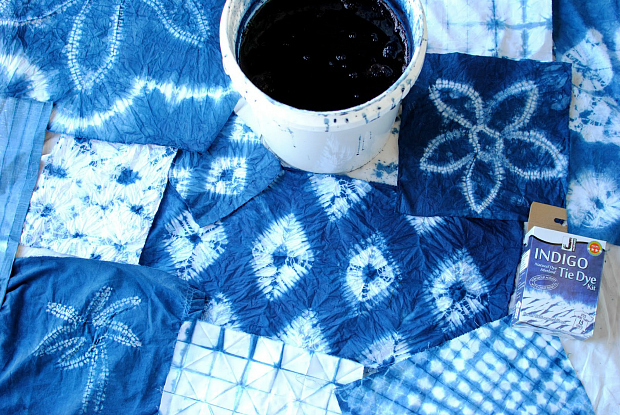 Shibori and Indigo dyeing is a process. The vat stays good for a few days and the Jacquard Indigo kit you can dye up to 25 shirts so that’s a lot of dye to use and plenty of time. If you want lighter shades of indigo save those for the end when less dye is available. It’s a process of binding and using stitch resist techniques so take your time. I enjoy keeping my hands moving so I put in a good movie and get to it. I also have kids so I save the techniques that take time for evenings when they're sleeping. Wear clothing and shoes you don't care to get messy. You will get dye on you no matter how hard you try not to. So wear clothing and shoes that you don't mind getting indigo on. For me I just wear a previously dyed indigo shirt (with no set pattern) and flip flops. I always wear gloves but my hands still get dyed because I choose to remove the rubber bands and thread with bare hands mainly because it can be difficult with gloves on. Dyeing time: For me I leave mine in for a good 2-3 minutes and will remove it from the vat and let it “oxidize.” If I want it darker then I put it in again for a minute or so…If you want a lighter shade you can just quickly dip it in, agitate it a bit and then remove it. Also if you want lighter shades for certain fabrics, save them for the end when there is less dye left in the vat. You can even add more water at this point and it get some lovely light shades of indigo. Now for some Nui Shibori (stitch resist dyeing). This is a simple running stitch used on the cloth, then pulled tight to gather the cloth. Each thread is then secured by knotting before being dyed. It’s a bit more time consuming but allows for control of the pattern you’d like to create. Full video below or follow the steps. 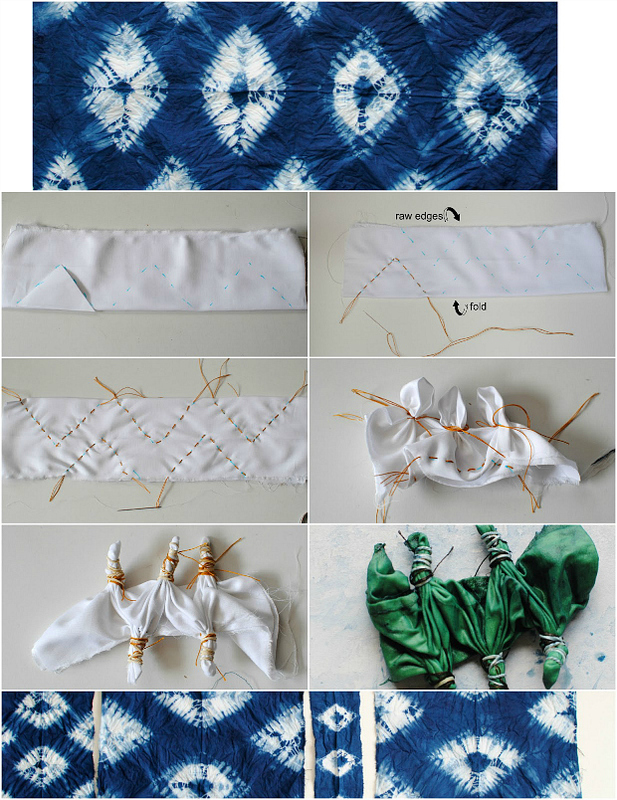 Komasu Shibori: Fold your fabric in half. Create a template or free hand and draw triangle shapes along the folded edge and the raw edges. I use a water erasable pen as it disappears in water. Then use a running stitch with heavy weight thread (for buttons or denim) and trace the marks. Pull the stitches on the side without the knot till they're nice and bunched up and knot the end a couple times. Once they're all scrunched use rubber bands around the tips. Dampen the cloth (you don't want it soaking wet just barely damp) and place in the Indigo vat. I wanted a deeper shade of blue so I placed mine in for 3 minutes. Let the dye oxidize and then I let it dry till it's just a little damp and then remove the rubber bands and stitches with embroidery scissors. Here is a pattern I had cut out and dyed using this technique. I'll be sharing this project in another post soon. This is similar to the one above but in this one you will create a design on paper first. I then placed it underneath my fabric and traced it with my water erasable pen. This time though I used a running stitch but I folded the fabric while I did it as shown in the photos. I also did an individual set of stitches for each petal (or section) for when you pull the threads. Scrunch it up and dampen it lightly. Place in the Indigo vat for 2 - 3 minutes or until you've achieved the shade of indigo you like. These were my favorite of the samples and final designs. 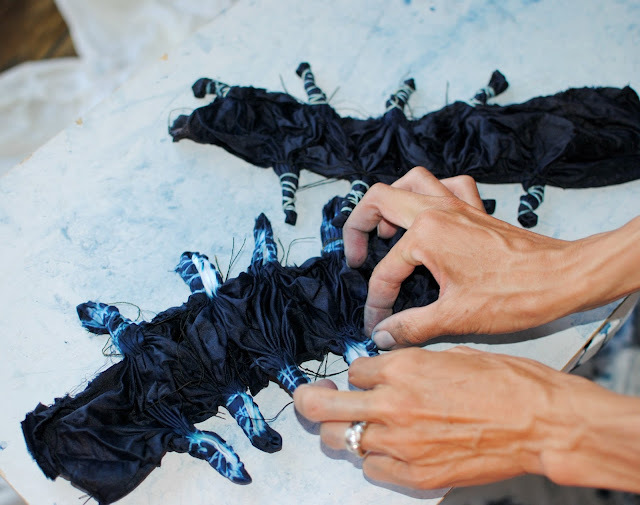 They're different from your basic shibori tutorials and easy to customize. I'll be using some of these in my new studio and even a cute theme for baby Louie's room. I'll be sharing more on that later. *In collaboration with Organic Cotton Plus and Jacquard Products. Check out Organic Cotton Plus for more natural fabrics, supplies, notions, and dyes. & Jacquard Products for more textile dyes and products. Fantastic! I love what you did with the stitching. 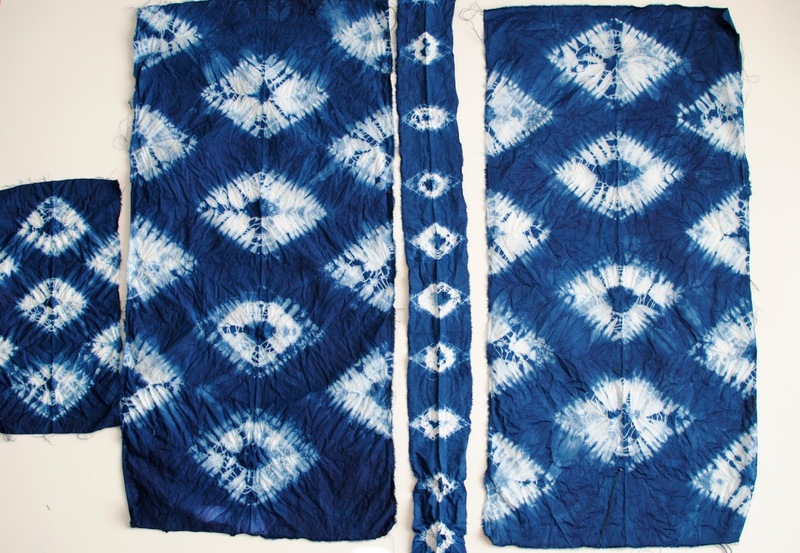 I love the look of shibori and would like to try it sometime. Kids will love this a lot! Fantastic! This is so adorable! Thanks so much for sharing this! Merci beacoup pour tous ces conseils sur la teinture ! J'adore teindre de vieux draps, c'est passionnant de découvrir le resultat final. thanks , you artikel very good, me really like you artickel thanks you so much. Love this! As someone who is amazing at hand embroidery I think I might use a few different stitches and see what I come up with. I wonder what a blanket or chain stitch might make! Amazing Post! it's looking so beautiful post. I really enjoyit. great work. Thanks for sharing. Amazing Post! it is very Interesting and so useful post. Thanks for share. This is really so nice blog. I have learn more things through this blog post. so thanks for giving us theses important tips. Cupshe promo Codes Now we bring best offers and discount coupons. I do not think it can make so many interesting shapes. thank you for sharing. My kids are starting to do it. I will show you the victory. Nice article. You have shared a great way of explaining things with the content and the images. Keep it up. Awesome blog that you share with us. Thanks for sharing. Thanks for this great post, i find it very interesting and very well thought out and put together. We all are aware that soon happy New Year 2019 is coming, and we all are ready to go for it. As it is the public holiday so all people from their works are free. that How we make this event memorable and happily. The Trainers here, have experience of over 10 years and are Google Certified. COIM CEO, “Mr. Mukesh Shukla” is a visiting faculty for various MBA Colleges. They give equal attention to each trainee and help them with their queries anytime check his latest course in Laxmi Nagar. so nice blog u write there... Thank you admin. Thank you so much the article, it is very interesting and lovely to read. Thanks for sharing. Get complete security products for all devices from ESET security product. We are the best bodybuilding supplements store in amritsar, who give you all type of protein supplements which is very necessary for bodybuilding so please visit our store without any hesitation, here you will also find bodybuilding equipments store in amritsar, they also provide you all gym equipments in cheap rate. If you want to make a six abs pack then you should follow that indian gym diet chart in which you will find 9 best food for bodybuilding in india through that food you can easily gain muscle in body. Now days everbody want to make good body but they have lack of knowledge. So here I will provide you indian diet plan for muscle building. So without hesitation please follow it. nice work keep it up thanks for sharing the knowledge.Thanks Delhi Escorts for sharing this type of information, it is so useful.